The ease of recycling rebar has contributed to its growing reputation as one of construction’s more Earth-friendly materials. Made completely of steel, most rebar used in new construction came from recycled materials, and after a teardown, most of it will be recycled again. According to the Steel Recycling Institute, rebar ranks as the nation’s most commonly recycled material. Although rebar may be recycled and used for new construction projects, tools such as rebar cutters and rebar benders can also make it easy to repurpose the steel rods for both functional and decorative purposes. Think of using the material for art projects, parts for furniture or useful objects in the garden. Rebar’s unique spiral shape gives visual interest to home and garden projects made with recycled materials. Why recycle or repurpose rebar? Rebar can be costly, and recycling it can help you recoup expenses or provide funds to purchase materials for your next project. Giving rebar new life also keeps it out of the landfill, making the decision to recycle or repurpose an environmentally friendly one. How do I recover or recycle rebar? To recover rebar from a teardown or construction site, first make sure you have permission from the rebar’s owner to remove the material, if it doesn’t belong to you. Then, look over the pieces you want to make sure they’re in good condition, free from rust or attached concrete. If a rod has concrete on it, you might be able to cut the affected section off with rebar cutters. Make sure the remaining piece is long enough to be usable. Try to avoid rebar with rust on it. Those pieces will corrode further and could pose a safety risk. Other places to find rebar to recover or recycle include scrap companies, salvage yards or junk yards. Call your local establishments and ask if they sell old rebar. Rebar purchased from salvage yards or junk yards will also need to be examined for quality. To recycle rebar from a teardown or construction site, try calling a scrap company to pick up the old pieces from your demolition site. The company will pay you per ton and haul the steel away. How can I use salvaged rebar? 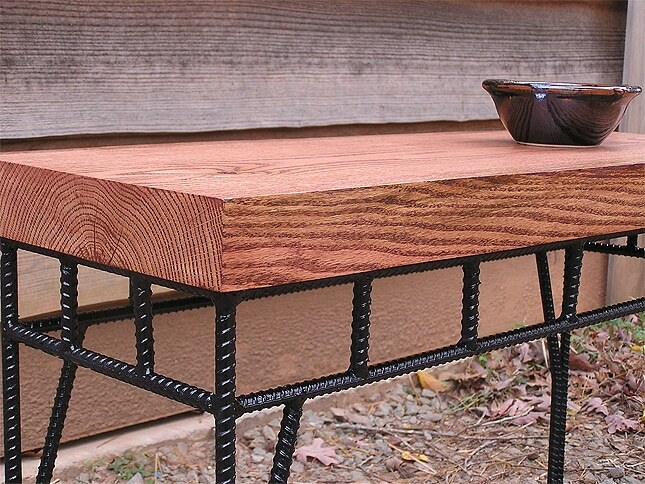 One way to reuse rebar involves making a table. Use rods for the table’s legs and a decorative edge around the tabletop. 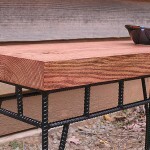 To construct the table, first use rebar benders to mold a rod tight around the wooden tabletop. Then, use rebar cutters to chop the rods to size for legs. Finally, weld the legs to the table’s steel edge. 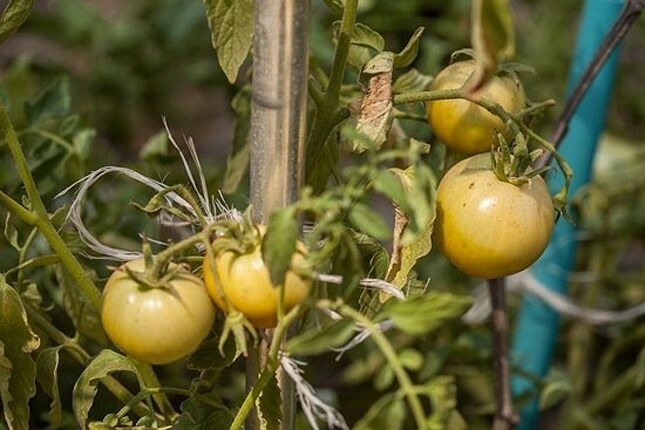 Rebar can also be used in the garden to prop up tomatoes, bougainvillea or a young tree. 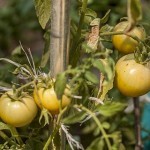 Simply cut the rebar to the length you need, hammer the steel into the ground and tie the plant to the rod for support. 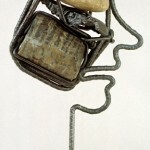 The artistically inclined might want to create rebar sculptures. Using rebar cutters, benders and a welder, the possibilities are limited only by your imagination. Ideas include people, animals, circles or flowers. 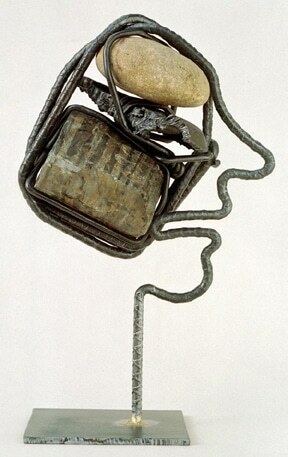 You might incorporate other elements into the sculpture, such as rocks or colored glass. To check out some of the tools you can use for these rebar projects, view some of our most popular rebar cutters and rebar benders, or contact us for more information.